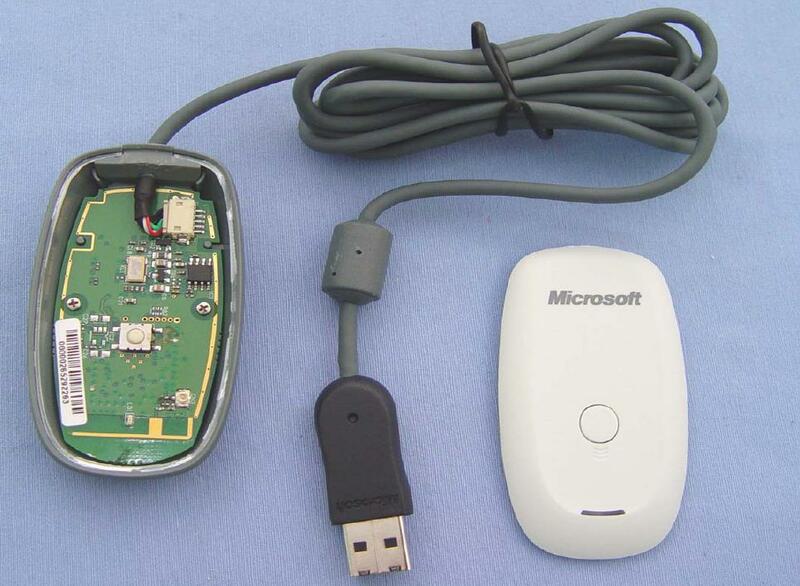 My XBox 360 Wireless Receiver for Windows died. No more green light, no more being recognized by the OS when I plugged it in. Weirdly enough, the first one I got was like this on purchase so I exchanged it for this one which worked fine up until now. Luckily, I found this fix from Eding1 which worked brilliantly. Amazing the fuse blows so easily, and so irrevocably and yet nothing else on the USB chain had any issues at all. Bad Microsoft hardware I guess! You can test whether this will work by connecting something like a paperclip across the fuse without desoldering it, then plugging it into your PC. Apparently you can use foil paper and electrical tape to connect across the fuse. Personally I’d recommend soldering, but if you donâ€™t have a soldering iron it’s worth a try. If “lever the top off” isn’t explicit enough for those not insane enough to pull apart everything they own, to get the case off jam, and I mean JAM, a butterknife in. Wedging it in the crease that is above the wire (between grey and white). Getting it in there good then wiggle and twist all about until the glue gives way. Because every inch other than where the wire is was thoroughly glued down. The circuit board is recessed so no need to be gentle, just don’t angle down. Be warned folks. Just tried this trick on mine and it was the receiver that was causing the short. Just fried a USB port on my computer. Everything else seems okay for now. Holy heart attack, batman, this worked. Nice ugly large blob of solder over the F1 fuse and my this stupid thing works again. Just saved me about 60 euros, so thank you very much! Worked fine by me. Thanks very much. Thank you! Mine worked great 24 hours a day for 2 years until tonight. A tiny bit of aluminum foil, tape, and 3 minutes is all it took to fix. Dude, it really works, I accidentally dropped it on the ground and it failed to work any more, thanks for your trick and it works again now!! I bought the (black) controller + wireless dongle bundle last September from a local Best Buy. Worked great under heavy use for a few months then I pretty much stopped using it. The dongle stayed attached to the PC 24/7, and just tonight I bought Skyrim and dragged out the controller only to see it wasn’t working. Just like everyone else here, I did a quick google, saw this blog, and immediately went to the hardware store for a $7 soldering pen. Took off the old fuse and blobbed over it, 15 mins later it’s working like a charm. Think I’ll unplug it with the controller for storage this time around, though. Dude, you rock. I just unsoldered the efuse and bridged with a blob of solder. When my wireless receiver died a couple of months ago I (stupidly) called Microsoft instead of just googling the problem. As common as this issue seems to be, the rep. on the phone seemed quite surprised I was having any problems. Microsoft must certainly be aware of this manufacturing defect by now. Yet the rep. on the phone was useless and refused to help me out because I was outside of their pitiful 3 month warranty period. He did, however, disclose that the part has been discontinued and so even if I was within the warranty period he would not be able to offer me a replacement, only a refund. Some people may consider this immoral; I do not. The store will send it back to Microsoft and get credited for it. The only loser ends up being Microsoft and I’m not losing any sleep over that. They sold me a lemon, so to speak. Thanks mate, the tin foil trick did it for me! Planned obsolescence at its best!! thanks for this dude! Truly appreciative of people that post their experience on the Interwebs. Found this in less than 30 seconds and have a working receiver again (a black one). My son is having the same problem – I’ll get him up and running again in no time. Thank you so much! All of a sudden my receiver randomly stopped working, it would not get detected by any computer I have. I knew there was something with a open circuit [as long as the USB cable is intact it should at least recognize SOME sort of usb device], but it would have taken me much longer to troubleshoot if not for this guide. Literally took me 5 minutes to open up and fix, works like a charm now! One of my Xbox controller receivers also died on me. Got it back alive by shorting the fuse as mentioned. Well, mine broke down yesterday evening. Was quite a bit worried since my soldering skills are almost none, I just splashed a big blob of soldering over the (broken) fuse and it seems to work. Any risk in using this? It works, but can it overheat because of this? I’m sure the fuse is there for good reason, so naturally there’s risk. Given that USB supplies 500mA or so maximum, I can’t see overheating being an issue though. Almost 5 years later and you’re still helping people. My receiver just stopped working one day a few months ago and I finally have time to start gaming again. Your post turned into a 5-minute fix! It drives me crazy when I see fixes like this. This is like saying to someone who has a TV which keeps tripping a breaker to simply short the terminals on the breaker…bah “It’ll work”… sure if you don’t mind fires, fried wires and a damaged TV set. The fuse is there for a purpose…I don’t have one yet to check, but I suspect they have used a fuse too close to the surge current that the device has occasionally. Bumping up the fuse to a resettable (or one shot) will fix the problem AND protect your USB subsystem on your computer and the Receiver from damage in those rare moments. If you have a Multimeter, put the meter on DC current setting and place the probes across the faulty fuse and plug it in… you’ll see what the current draw from the Receiver is, 300mA? 500mA? no idea, I’ll know when I get my unit. After you know that we can get a replacement SMD part to fit where the old fuse was… the fuses that reset themselves (common on USB buses) probably 500mA is a likely good choice. MUCH safer than simply shorting the contacts where the fuse was. Not many people have the equipment you’re talking about and although (obviously) replacing the surface mount fuse yourself or upgrading it to something resettable/right value is “better”, it’s no good to someone that simply can’t do that. Right now I have 120+ people with successful fixes and 1 with a blown USB port that I clearly posted up top as a warning. Seems like good odds to me, and stop trying to equate this to the same risk as a breaker throwing – 20 amps and 110V is somewhat different to 500mA at 5V. Weird… I could not get it to work with electrical tape, but first try with duct tape worked just fine! I made sure it wasn’t touching anything else on the board. Hopefully it lasts! Thanks for the easy fix. Give that man an internet hug! Thought some of you guys that want to go a little further down the rabbit hole might find this interesting. found some basic information on the type of fuse used in this receiver. it is a “Surface Mount Fuse, 1.6 x 0.8 mm” “0603FA Series, Fast-Acting”. Figured this out after taking a few physical measurements “L (1.6mm)” X “W (.81mm)”. on my original microsoft branded receiver the fuse is “green” and has a captial letter “D” on it. here are few data sheets to give you an idea of what it is. Hopefully this info is a little helpful to the people that want to replace the fuse with another. I’m just not sure about the significance of the “D” on my fuse? While it’s true that USB ports run at 5.00 +/- 0.25 V, you want some overhead to be safe. 32V will work just fine. Low-power devices, such as this receiver are supposed to pull one unit load off the USB (100 mA for USB 2.0, 150 mA for USB 3.0). An overcurrent event is what blows these fuses, so either they are faulty, or the system has a serious design flaw. Hey Jw I recently did the soldering job on my wireless reciever and when I plugged it back in the green light came on but now it seem to have lost its range, I now have to put it on my lap for it to pick up the controller and it is causing a lot of discomfort when I play. Could the problem b related to the fact that I used very thin wires to bypass the fuse? Please help I just dnt have the heart for keyboard anymore. I doubt it could be the wires being thin. It’s possible you somehow broke off the internal antenna somehow though – that would explain the short range. Tried this fix, didn’t seem to work. I have tested that I have voltage on various parts of the board (heck even to the led) but the led won’t light up and windows doesn’t even notice a device is plugged in when I plug it in. If I hold down the button I can feel the processor getting hot, so I know I have power. Any ideas from here or should I just throw it away? tested it on both 7 and 10 , 64 bit the results were — Silence. nothing burned, it was shiny new. Thank you shakyhands999 & fu microsoft!